Preheat your oven to 180 deg c. With a sharp knife, remove the core from the apple halves and scoop out some of the flesh so that you create a hollow. 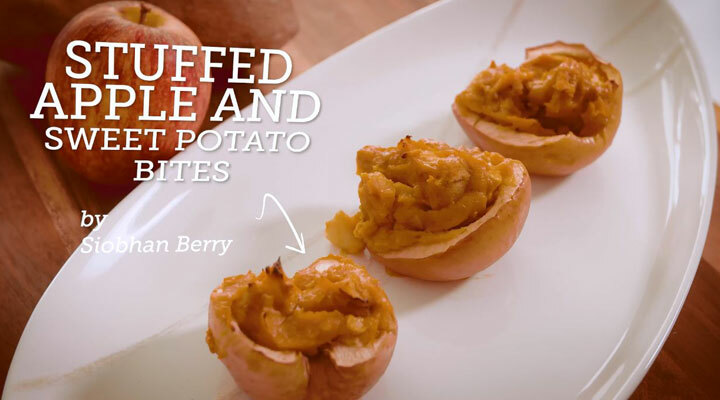 Chop the apple flesh and mix with the cooked sweet potato, cinnamon and butter. Spoon the mixture into the apple hollows, then place the apple halves in a small baking dish. Bake in the oven for around 30 mins, until the apple is tender. Cut into smaller pieces for your child to pick up.